When you think of regular maintenance on your vehicle what comes to mind? Oil changes, tune ups, changing you air and fuel filters, checking your tires and brakes, and checking all your fluid levels. 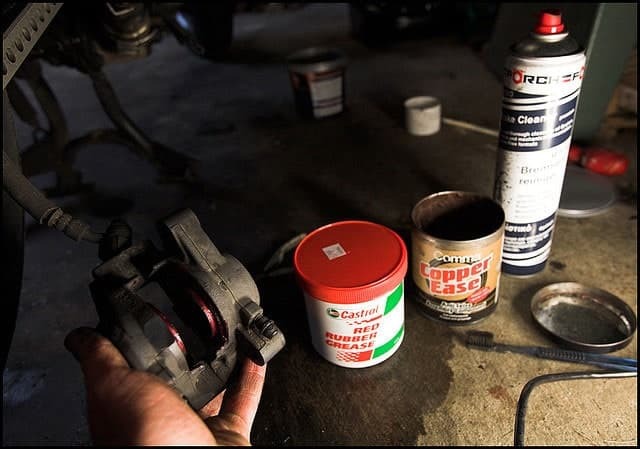 One of the most commonly over looked aspects of regular vehicle maintenance is grease. Greasing your truck is very important. It lubricates moving parts increasing their life and reducing wear on your vehicle. Failure to keep these parts greased could cause you to have to under go some very costly and time consuming repairs. The main areas to check your truck to see if you need grease are your ball joints, your u-joints, where your control arms connect, your tie rods, and your steering linkage. These areas should be checked and greased about as often as you change your oil, or anytime you’ve taken your truck off road through lots of water and mud. Not keeping these areas well lubricated will decrease the life of your parts, and since these parts mostly make up your steering and suspension, its very important to keep them well maintained. Checking to see if you need grease is a fairly easy process. First you need to get underneath your truck. Then all you need to do is look for grease fittings. Once you’ve located all the areas that have grease fittings simply just look and see if they have plenty of grease surrounding them, or feel with your fingers. Grease doesn’t last forever. It dries up, get washed away, and simply just wears out. Applying grease to these areas is simple and easy. Once you’ve located all of your grease fitting simply just load up your grease gun, press the tip onto the top of the fittings and give it a few pumps. You’ll know when you have enough grease applied when you see grease start to protrude out the side of the part that its being applied to. Keeping your truck properly greased is one of the easiest ways to increase the longevity of your truck. It’s so often overlooked by many people but is so vital in the maintenance of your vehicle. Keeping your truck properly greased can save you so many future headaches.